A loan of $4,325 helped a member to purchase guinea pigs. The members belong to the “NUEVO AMANECER DE MOLLEPATA II” communal bank. This bank is located in Mollepata district, in Anta province, Cusco department. Lourdes is 46 years old and has 4 children, and is married. She spends part of her daily work with her business raising small animals such as chickens and guinea pigs, among others. She has been in this business for a good while and it is going well thanks to the determination that she puts into her business each day. She wants to be able to continue working and in this way continue supporting her family. She asks for the loan to purchase guinea pigs. 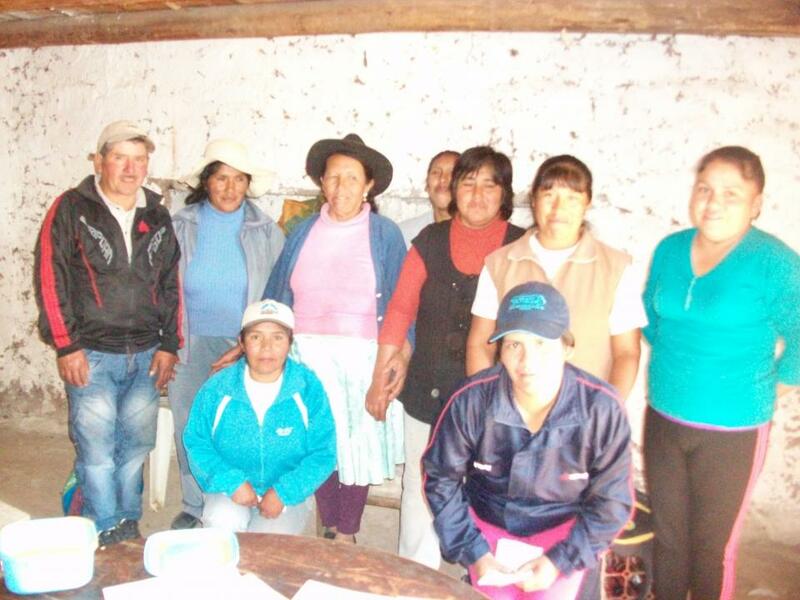 The other members work raising cattle, selling animals, and traditional crafts. She is grateful to those who are part of this dream through this method and promises to meet her payments on the established schedule. Los socios pertenecen al banco comunal “NUEVO AMANECER DE MOLLEPATA II”; Este banco se ubicada en el distrito de Mollepata, perteneciente a la provincia de Anta y departamento de Cusco. La socia es la Sra. Lourdes, la socia tiene 46 años de edad tiene 04 hijos y es casada, la socia alterna sus actividades diarias con el negocio de crianza de animales menores como gallinas, cuyes entre otros, la socia lleva buen tiempo con su negocio el cual le va bien gracias al empeño que le pone cada día a su negocio, la socia desea poder seguir trabajando para de esta forma seguir apoyando a su familia. La socia solicita el crédito para la compra de cuyes. Los otros socios se dedican al negocio de crianza de ganados, negocio de venta de animales ,artesanía. La socia agradece a quienes forman parte de este sueño mediante este medio y se compromete a cumplir con el pago de sus cuotas en el plazo establecido.